This horn came to me with something of a history. It was, at one time, in the collection of Steve Dillon of Dillon Music. It's supposed to have originally been made for a member of the Chicago Symphony. 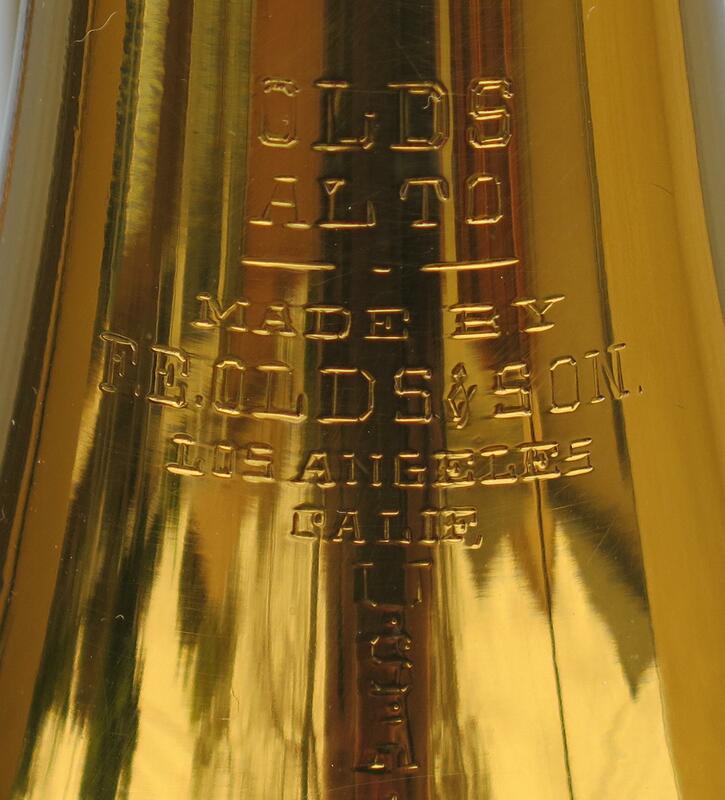 Given its serial number (82xx), it would have been made sometime around 1934, so the most likely buyer would have been Edward Geffert, CSO Principal Trombone from 1929-1939 - though it certainly could have been made for one of the other members of the section (i.e., Arthur Gunther or David Anderson). To the best of my knowledge, this instrument is unique - I have never seen nor heard of another like it. If you're looking at the images and getting the idea that I messed up the aspect ratio, think again. That's an 8½" bell flare on an alto trombone. 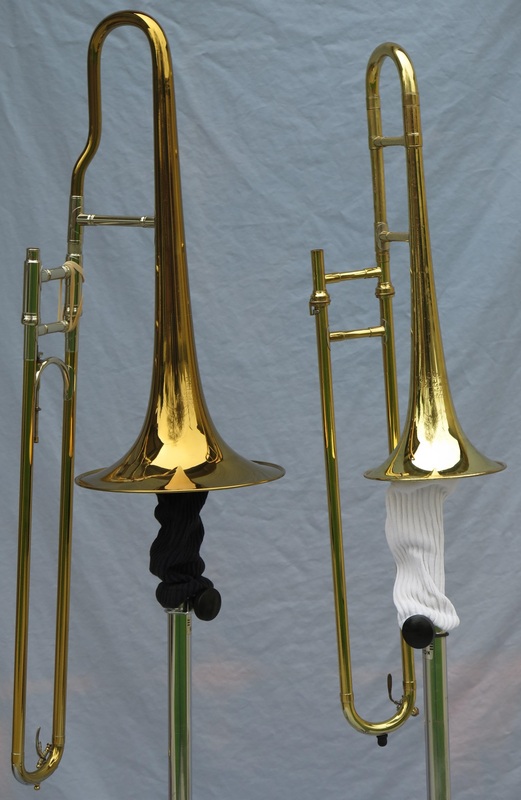 The slide is dual-bore, .475"-.495"; an odd combination for Olds (most Olds tenor trombones have a .015" bore differential between the upper and lower inner slides). 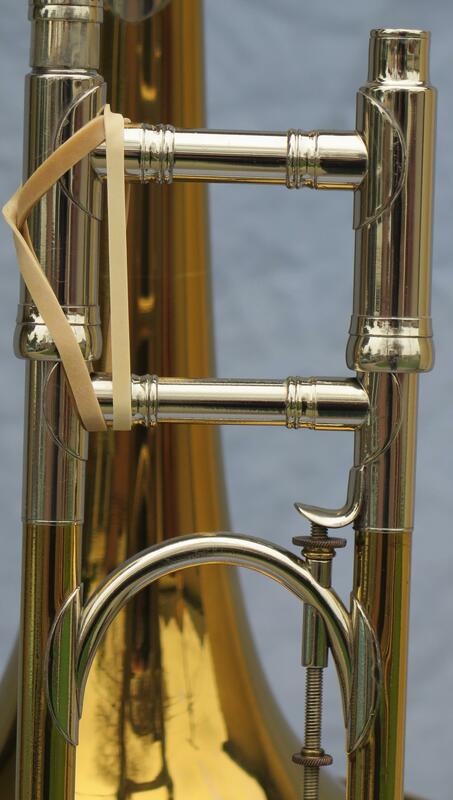 Unlike the later Olds F alto, the mouthpiece receiver is the same size as an Olds tenor trombone. 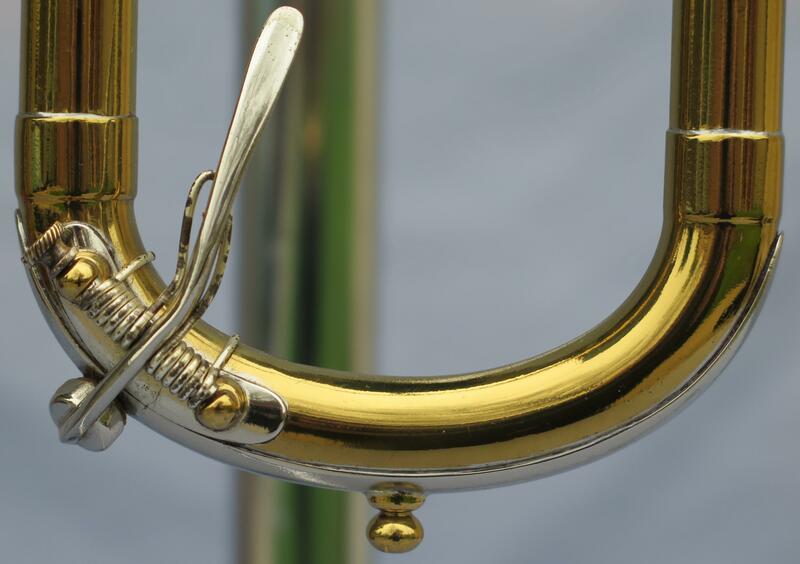 As shown in the pictures, it has an odd, angled dogleg in the neckpipe (not unlike the one on this instrument), most likely to provide clearance for the oversize bell.